At its simplest, Anna Karenina is a love story. It is a portrait of a beautiful and intelligent woman whose passionate love for a handsome officer sweeps aside all other ties - to her marriage and to the network of relationships and moral values that bind the society around her. The love affair of Anna and Vronsky is played out alongside the developing romance of Kitty and Levin, and in the character of Levin, closely based on Tolstoy himself, the search for happiness takes on a deeper philosophical significance. 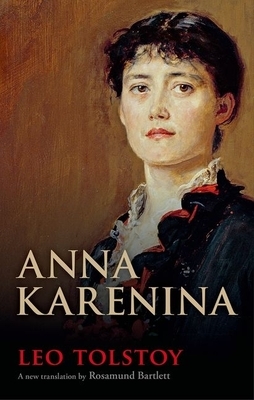 One of the greatest novels ever written, Anna Karenina combines penetrating psychological insight with an encyclopedic depiction of Russian life in the 1870s. The novel takes us from high society St Petersburg to the threshing fields on Levin's estate, with unforgettable scenes at a Moscow ballroom, the skating rink, a race course, a railway station. It creates an intricate labyrinth of connections that is profoundly satisfying, and deeply moving. Rosamund Bartlett's translation conveys Tolstoy's precision of meaning and emotional accuracy in an English version that is highly readable and stylistically faithful. Like her acclaimed biography of Tolstoy, it is vivid, nuanced, and compelling. Rosamund Bartlett has published widely in the fields of Russian literature and music. Her books include Wagner and Russia (CUP, 2007) and Shostakovitch in Context (OUP, 2000), as well as biographies of Chekhov and Tolstoy. Her life of Tolstoy was longlisted for the Samuel Johnson Prize. As a translator she has published the first unexpurgated edition of Chekhov's letters for Penguin Classics, and her translation of Chekhov's short stories, About Love and Other Stories, for Oxford World's Classics was shortlisted for the Oxford Weidenfeld Translation Prize. She was until 2006 Reader and Head of Department of Russian at the University of Durham, and she is the Founding Director of the Anton Chekhov Foundation, set up to preserve Chekhov's house in Yalta, for which she was awarded the Chekhov 150th Anniversary Medal in 2010 by the Russian government.